A colorful raspberry napaju was put on a smooth mousse blended with two kinds of chocolate. 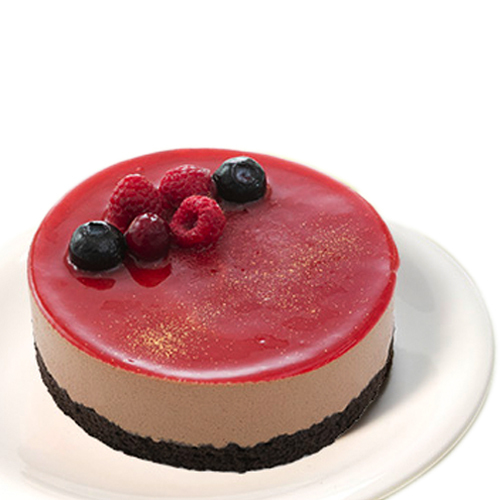 On the top is topped with blueberries and raspberries, treated with gold leaf and became a luxurious plentiful gift. Please Note: Cake is frozen. Thawing takes for about 2 hours in the refrigerator.